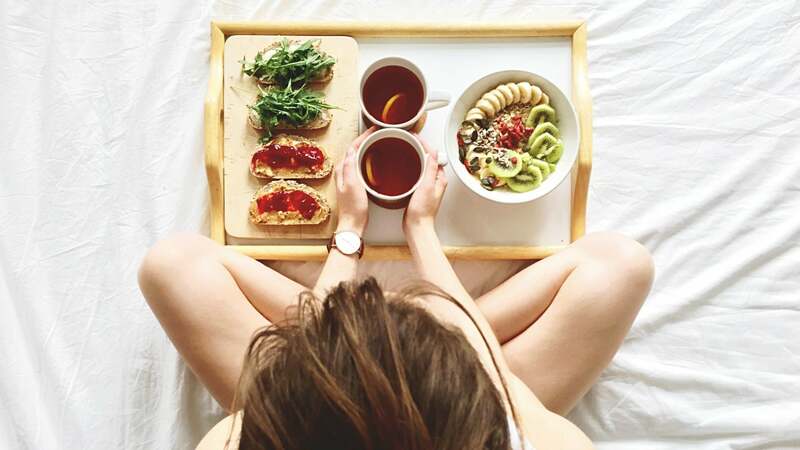 Along with cramps, light irritability and the other fun realities of getting our period, a lot of us experience an increased appetite while during our cycle, and often some pretty intense cravings, too. By now, you’ve probably learned to deal with your menstrual cycle with a combination of treatments, from deep breaths, to light exercise to the occasional anti-inflammatory pill. But did you know changing your diet can actually alleviate some of your period symptoms? Try these nourishing foods before and during your next cycle and see if it helps to ease your menstrual discomfort. When it comes down to it, the best way to prepare your body for its monthly visitor is to maintain a healthy, well-balanced diet. Easier said than done, right?! 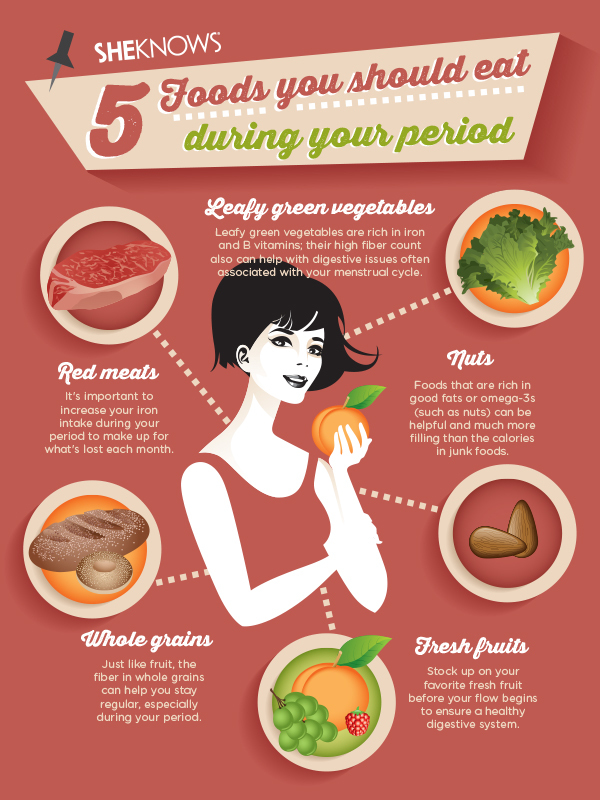 Try integrating some of these period-friendly foods into your nutrition plan for a less painful time of the month. According to Dr. Christine O’Connor of The Gynecology Center, leafy greens (think kale or Swiss chard) can benefit your body several ways during that time of the month. Not only are they rich in iron and B vitamins; their high fiber count also can help with digestive issues often associated with your menstrual cycle. A version of this article was originally published in March 2012.